If you can’t use the words ‘effective’, ‘no-nonsense’ and ‘performance’, you need to show them visually. 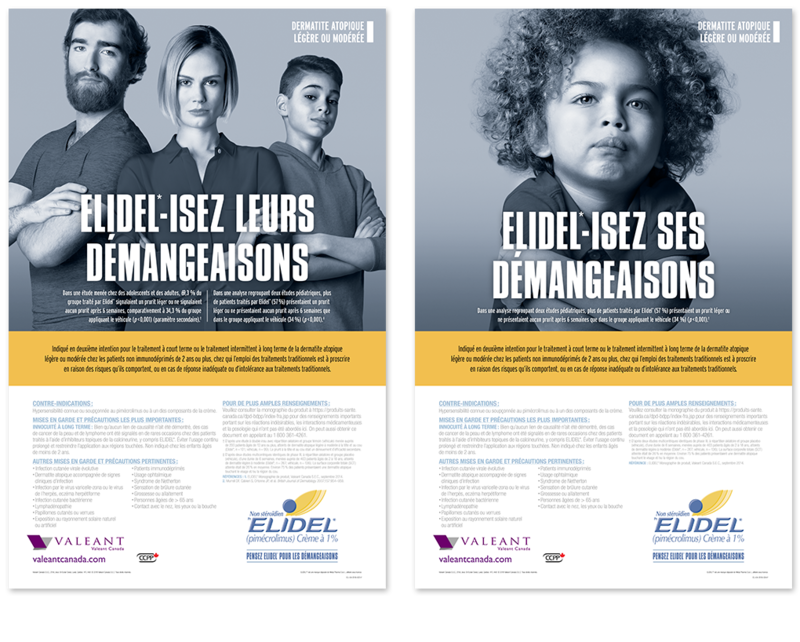 The objective for Elidel was to create a new brand identity. The identity needed to emphasize the product’s format and strength in the treatment of moderate atopic dermatitis. Additionally, it needed to communicate clearly that Elidel isn’t just for mild cases. 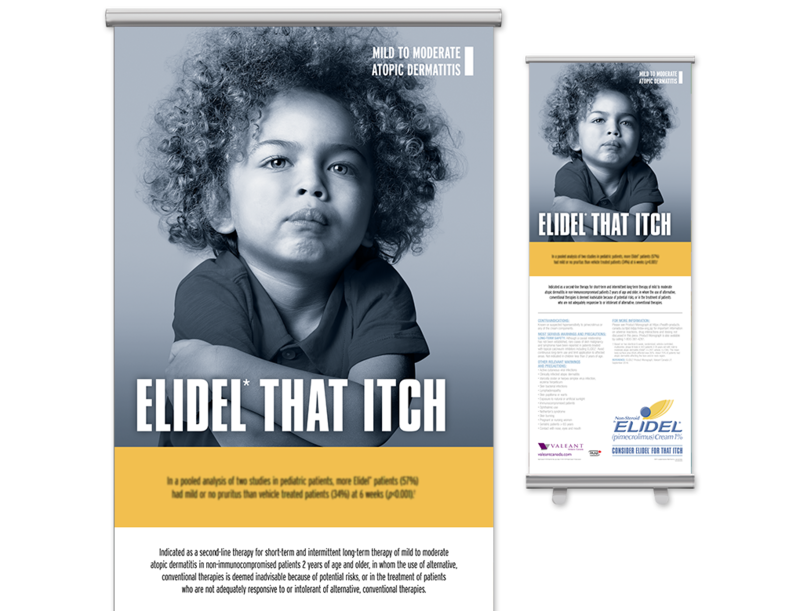 The idea behind the headline ‘Elidel that itch’ was to present a bold statement designed to shift the focus from the disease state to patient, while providing a strong call to action. In synergy with the image, this message was also a reminder to physicians that the symptoms of the disease state are more than just skin deep. Intentionally, the styling of the imagery established ‘attitude’. 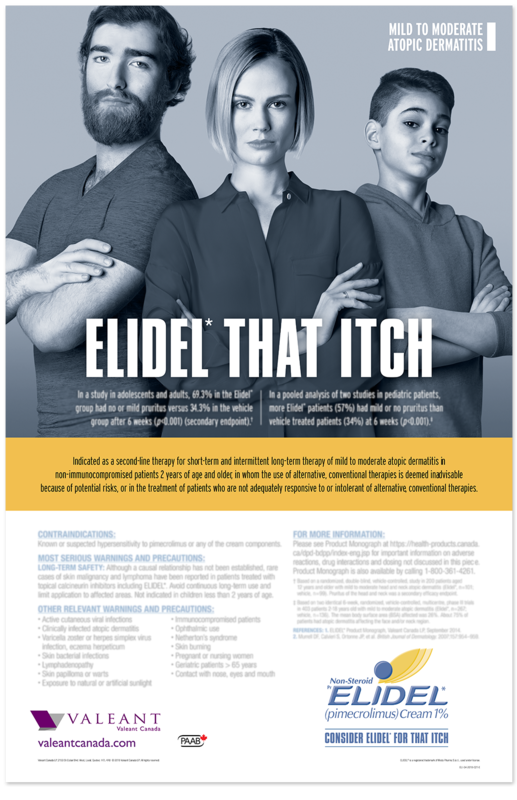 It presented Elidel as a serious product that can help patients be proud of their skin and show it off.